Renzi isn’t much closer to achieving any of those today than he was in the spring. He’s lucky to have won a key vote last week in the upper house of the Italian parliament, the Senato (Senate), to reduce that chamber’s powers, making it essentially an advisory body, giving Italy a unicameral parliamentary system in all but name. Renzi must still win a vote in the lower house, the Camera dei Deputati (Chamber of Deputies), where Renzi’s Partido Democratico (PD, Democratic Party) controls an absolute majority, as well as another final vote in the Senate before the reforms are put before voters in a referendum next year. The reforms would reduce the number of senators from 315 to 100, with 95 appointed by regional councils and five appointed by the Italian president, and those senators would no longer have the same power to veto legislation or hold votes of no confidence — like the one in 2008 that prematurely ended Romano Prodi’s last government. Those criticisms might be overwrought, but it’s still worth wondering whether senate reform was the smartest strategic priority for Renzi’s government. Instead, Renzi could have immediately targeted Italy’s most difficult issue — the need to transform Italy into a modern regulatory state. If Renzi has the power to compel the Italian Senate to neuter itself, why not the power to compel it to enact the kind of economic reforms that could instill global confidence about the Italian economy? It’s true that Italy’s latest recession is about as narrow as possible — a 0.1% drop in GDP growth in the first quarter and a 0.2% drop in the second. That’s not Greek or Spanish-level depression. It’s even possible that subsequent revisions could determine Italy’s economy actually grew narrowly over the same period. But it’s noteworthy that even in the ‘boom’ years, Italy never grew at a rate of more than 2%, unlike Greece and Spain, both of which enjoyed wide expansions in the 2000s. In that regard, while Italy’s suffering over the past five years hasn’t been as painful as Greece’s or Spain’s, its economy has more deep-rooted problems. Over the same period, Spain’s economy grew by 0.4% and 0.6% in those two quarters. Austerity policies may have devastated growth and employment over the last five years, but Greece is increasingly stabilizing and Spain’s jobless rate is now falling. It’s not hard to envision a Europe where Greece and Spain gain strength while Italy stagnates. Since the end of the ‘first republic’ that swept away Italy’s old Christian Democracy and political elite, politicians have been promising reform, beginning with Berlusconi’s first election as prime minister in 1994. Berlusconi, Prodi and, more recently, the technocratic government of former European commissioner Mario Monti all promised — and failed — to deliver economic reform. That’s not even counting the need for Italian officials to address, after decades of negligence, the disparity between the industrial heartland of the Italian north and the economic wasteland that extends throughout much of Italy’s organized crime-ridden mezzogiorno south. 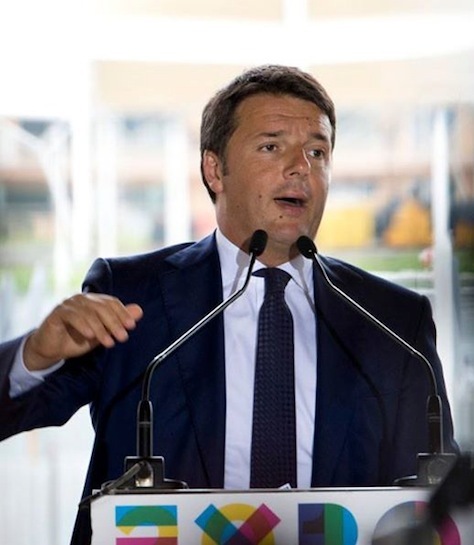 For now, politically speaking, time is on Renzi’s side. He doesn’t have to call a new general election in Italy until 2018, at the latest, though it’s awkward that Renzi could govern Italy for four years without a mandate from the Italian electorate. It’s clear for now, however, that Italians generally approve of Renzi’s leadership — he’s far more popular than any other party leader and even more popular than Giorgio Napolitano, Italy’s widely respected, largely ceremonial president. Under Renzi’s premiership, the fortunes of the center-left Democratic Party are on the rise. If an election were held today, Renzi’s Democrats would win around 42% of the vote, while Beppe Grillo’s protest group, the Movimento 5 Stelle (M5S, the Five Star Movement) would win just 20%, and Berlusconi’s newly renamed Forza Italia would win just 16%. The Lega Nord (LN, Northern League), under the leadership of the 41-year-old Matteo Salvini, who has gained ground with a strongly eurosceptic message, would win around 7%. That’s roughly equivalent to the landslide victory Renzi won in the May 25 European parliamentary elections, where the Democrats performed so well that they hold more seats in the European parliament than any other major center-left party, including Germany’s Social Democrats and France’s Socialists. With numbers like that, it’s surprising that Renzi wouldn’t want to call a snap election, and he might next year upon the finalization of the senate reform and its sister effort, a new election law that Renzi is working to implement with Berlusconi’s support. The senate reform effort is a prelude to enacting the election law and, taken together, represent a down payment on Renzi’s promise to bring reform to Italy after two decades of false starts. But if Renzi can’t follow through with underlying reforms to change Italy’s economic culture and its relationship with government, Italy’s broken economy will fall further behind its peers.